As the aging population increases over time, it is not a surprise to understand that the numbers of grown individuals diagnosed with dementia are rising as well. These individuals, whether their dementia is mild or severe, are at high risk of and are victims of financial abuse due to their cognitive impairment. People with dementia and their families are in need of support to manage their money and stay safe from financial abuse. -Symptoms of dementia largely affect the individual’s ability to manage their finances. In the survey, 76% of people had experienced difficulties managing their finance. -Individuals often find it difficult or feel uncomfortable talking about financial issues, especially in family settings. -Individuals claimed they sometimes felt pressured when shopping in unfamiliar places because others were not aware they had dementia. -Highly technical personal banking security makes it difficult for individuals with dementia to manage their finance. -Lack of information about how to access support with managing money and accessing entitlements, and overall inadequate financial advice. -Many caregivers reported difficulties dealing with banks and other service providers when trying to take over someone’s finances, leaving them feeling unsupported and confused. -15% of caregivers reported that the person they cared for had been subject to some kind of financial abuse. -People with dementia and caregivers felt that a diagnosis of dementia could make people more vulnerable to financial abuse. -Many people knew someone or had themselves experienced low-level financial abuse such as scams and cold calling. Some cited more serious abuse, such as cash being stolen from accounts or familial financial abuse. -All groups thought that sometimes family and friends could financially abuse people with dementia. They felt this type of abuse was perhaps the most difficult to define and talk openly about. -Nearly two-thirds (62%) of caregivers said unsolicited or unscrupulous cold callers or salespeople had approached the person they care for. -Professionals felt that financial discussions were still taboo or difficult to talk about with families, however without asking them it was hard to approach the issue. -Professionals reported that they came across financial abuse quite often, and that it was probably under-reported due to the large amount that takes place within families and is not known about. -It is often difficult to prove when financial abuse has occurred, particularly when the person with dementia cannot provide sufficient detail about what has happened. -Professionals perceived bank procedures and rules as significant barriers towards safeguarding vulnerable adults from financial abuse. 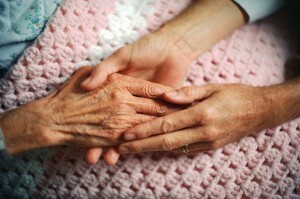 -Recognize that people with dementia are at much higher risk of financial abuse. -Improve knowledge and awareness about financial management and planning among people with dementia, caregivers and professionals. -Improve awareness of effective prevention mechanisms to help stop people with dementia being repeatedly targeted by cold callers and scams. -Improve community support services for people with dementia to manage their money. -Increase access to independent advocacy for people with dementia. -Bring together adult safeguarding and financial assessment teams within local authorities to work collaboratively on cases of suspected financial abuse involving a person with dementia. -Improve data sharing between agencies and local areas and ensure that multi-agency policies are consistently implemented to prevent and respond to financial abuse. With financial transactions becoming more personalized and differentiated- this may pose serious challenges to people with dementia, who require support from others to manage their money and stay safe from financial abuse. How do you think we can best educate other professionals to help safeguard the finances and futures of individuals with dementia? It is imperative for us to work on this, beginning with a proper diagnosis. What are your takes on this matter? Do you believe there are other preventative ways to protect the futures of the people we care about and love? Your comments and questions will be openly welcomed.